One of the more vital pieces of information necessary for the sizing of pumps, filters and chlorinators is your pool’s water volume. Knowing the amount of gallons in your pool provides a basic framework from which we can deduce the necessary pump run time, flow in gallons per minute and chemical needs. The tough part about pool volume is that most pools are not a set geometrical shape and that requires algebra to figure out. If you’re like me, then you just sighed a little when you read the word algebra. But luckily, Pentair’s pool volume calculator does all the work for you. This neat little tool provides you an option of calculating the gallonage of standard rectangle, circle, triangle and kidney pool shapes. The only information you need to input is the overall length, width and depths of your pool. Let’s say you walk out to your salt system and it says low salt with the display reading 2400 PPM. Quick, tell me how much salt is required to reach 3400 PPM? Is it 50 pounds or 100? Stumped? Trust me, you’re not the only one. The delicate balance of salt to water can be a pain to maintain at times, mainly due to the obtuse measuring unit of parts per million (PPM). That is why Pentair has created a nifty online tool, the Saltwater Calculator. It allows you to determine the exact amount of salt needed for your pool to reach the optimal PPM rating. The two pieces of information needed for calculation are your current PPM reading and your pool’s gallonage. The latter can be found using the Pool Volume Calculator. As a sidenote, the scale is rated for 3400 PPM as that is the optimal rating for Pentair’s Intellichlor. If you do not have an Intellichlor, your system’s optimal reading may differ. In those cases, read the manual for your system to get the desired PPM and refer to the scale to help in factoring salt amount, using your best judgment in terms of necessary salt addition. 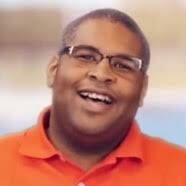 Your pump motor has just quit on you and your pool guy is not answering calls. After reading the motor label to decipher any type of usable information, you’ve come to the conclusion it’s in Klingon. Your pool party plans for the weekend are looking bleaker by moment. It’s officially time to panic. Not so fast. Take a breath. Finding the correct replacement motor is not as difficult as it may seem. We here at Inyo have cut down the steps to matching your pool motor to a few keystrokes. 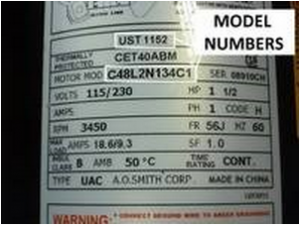 First step is to find the model or part number on your motor label. This information is usually found in the top portion of the label. Next, input your model number into our search bar. Lastly comes the hardest part, press enter and you’re done. We know how hard it can be to read a motor label so we have reduced the legwork to make it as easy as possible for you. A pool and spa owner myself, I can say one of the most frustrating positions I have been in was finding a replacement cartridge for my spa. The cartridge I had contained no numbers or markings on the plastic end caps. The spa itself had no identifying numbers or logos to narrow my search. I was at a loss. All my efforts were for naught until I came across the Filbur Filter Finder. This tool has a vast database of virtually all the known pool and spa cartridges in the industry. What makes the tool so useful is that it does not rely on part or model numbers alone. A match can be found using your cartridge’s dimensions or even keywords. As an on-call pool technician, I have taken my fair share of broken skimmer basket calls. The call normally begins with a description of a skimmer basket and measurements. And it normally ends with me asking for a picture of the basket with a tape measure beside it showing dimensions. The reason being, baskets all pretty much look alike. The only difference is whether they are round or square, and their basic dimensions. A verbal description is sketchy at best when searching for a match. Is a 1.0HP Motor the Same as a 1.5HP Motor?